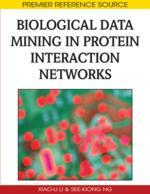 This chapter presents applications of machine learning to predicting protein-protein interactions (PPI) in Saccharomyces cerevisiae. Several supervised inductive learning methods have been developed that treat this task as a classification problem over candidate links in a PPI network – a graph whose nodes represent proteins and whose arcs represent interactions. Most such methods use feature extraction from protein sequences (e.g., amino acid composition) or associated with protein sequences directly (e.g., GO annotation). Others use relational and structural features extracted from the PPI network, along with the features related to the protein sequence. Topological features of nodes and node pairs can be extracted directly from the underlying graph. This chapter presents two approaches from the literature (Qi et al., 2006; Licamele & Getoor, 2006) that construct features on the basis of background knowledge, an approach that extracts purely topological graph features (Paradesi et al., 2007), and one that combines knowledge-based and topological features (Paradesi, 2008). Specific graph features that help in predicting protein interactions are reviewed. This study uses two previously published datasets (Chen & Liu, 2005; Qi et al., 2006) and a third dataset (Paradesi, 2008) that was created by combining and augmenting three existing PPI databases. The chapter includes a comparative study of the impact of each type of feature (topological, protein sequence-based, etc.) on the sensitivity and specificity of classifiers trained using specific types of features. The results indicate gains in the area under the sensitivity-specificity curve for certain algorithms when topological graph features are combined with other biological features such as protein sequence-based features.